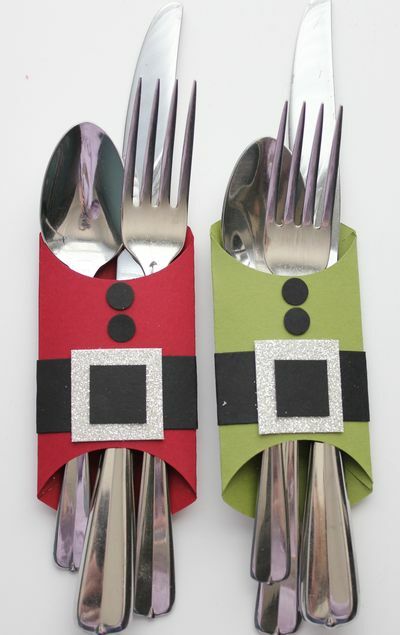 Dress up the kids table this Christmas with these cute Santa and Elf utensil holders. You could modify them just a bit and make them into cute candy bar wrappers too. Check out the tutorial for these cute paper Santa and Elf suits over at Stamp with Heather.